A flat in Crawley associated with drugs and criminal activity has been shut down. 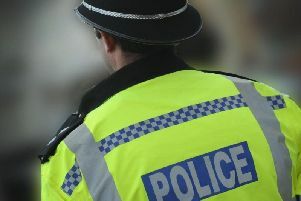 Police said officers had received numerous reports of anti-social behaviour and alleged activities such as drug taking and assaults taking place at flat 7, Robinson House, High Street, over recent months. The property was served with a closure order under the Anti-Social Behaviour Crime and Policing Act 2014 on Wednesday (August 15) preventing anyone from entering the premises. Anti-social behaviour and Hate Crime coordinator, Bryony Lewin-Playford said: “The issue of a closure order on the flat in Robinson House follows a number of incidents of anti-social behaviour, reports of drug taking and an assault at the location over recent months. “We listened to the concerns from residents regarding the problems the occupants and those visiting the flat have been causing and this closure will help prevent this behaviour from continuing. “The Crawley Prevention Team and partner agencies will work together to tackle issues such as these and work towards a long-term and sustainable solution.